6” x 6” up to the occasional 10” x 16” piece. Cool blue and gray color palette. 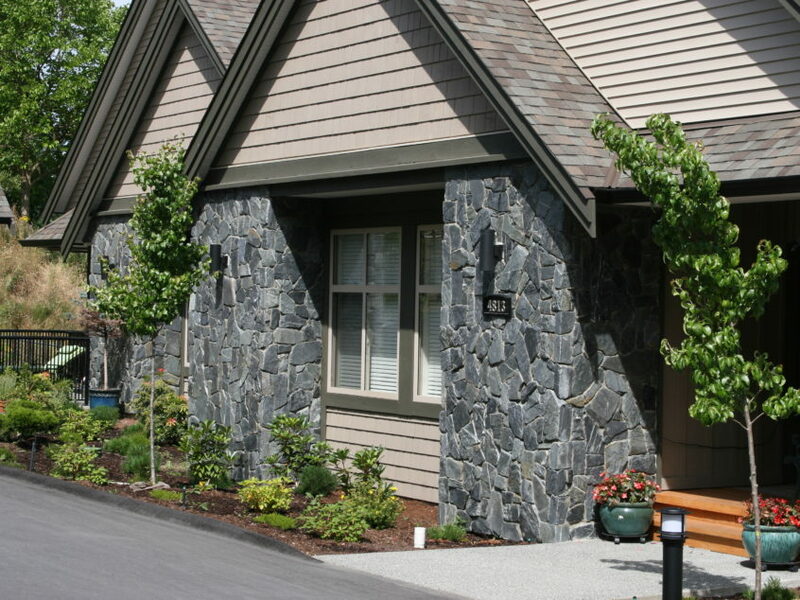 The organic beauty of natural stone veneer makes a statement when used in any home. 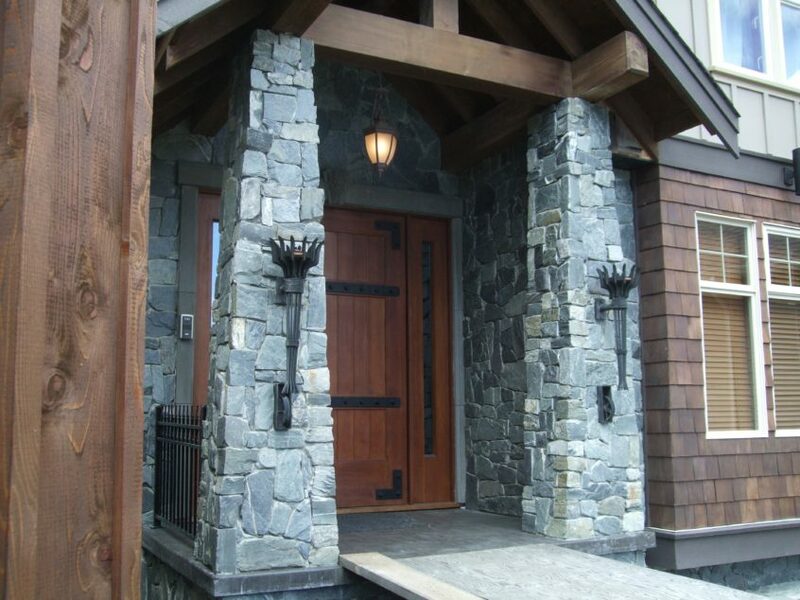 Our Tofino Sky Field Stone Veneer is an especially good fit for traditional craftsman style or rustic log homes. This profile consists of irregular field stone shapes that look like they've come straight from the mountain. The randomly placed stones have a smooth texture and a cool blue and gray color palette. Tofino Sky uses larger irregular shaped stones from 6" x 6" up to the occasional 10" x 16" piece – due to its larger size it works best for larger areas. 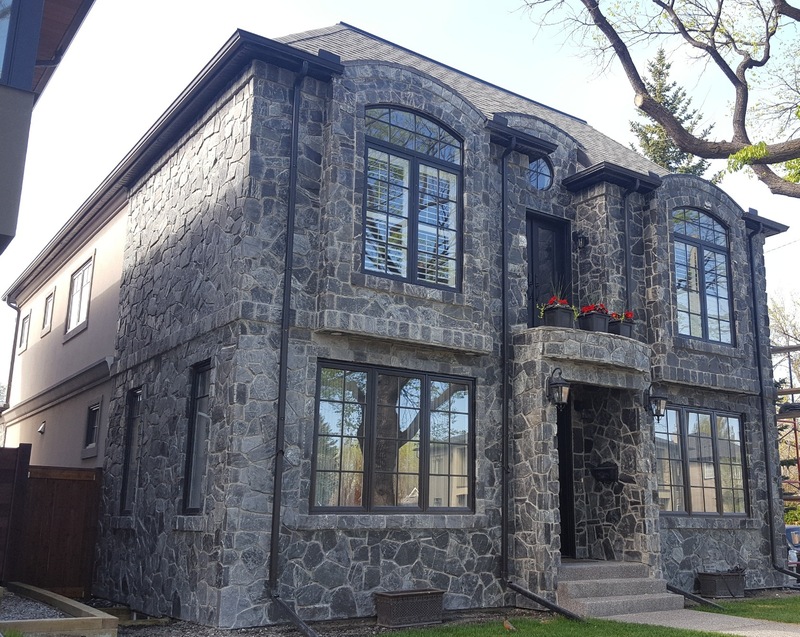 Exterior walls for projects ranging from estate homes to commercial installations can be easily upgraded with distinctive half facades or feature areas treated with stone veneer. 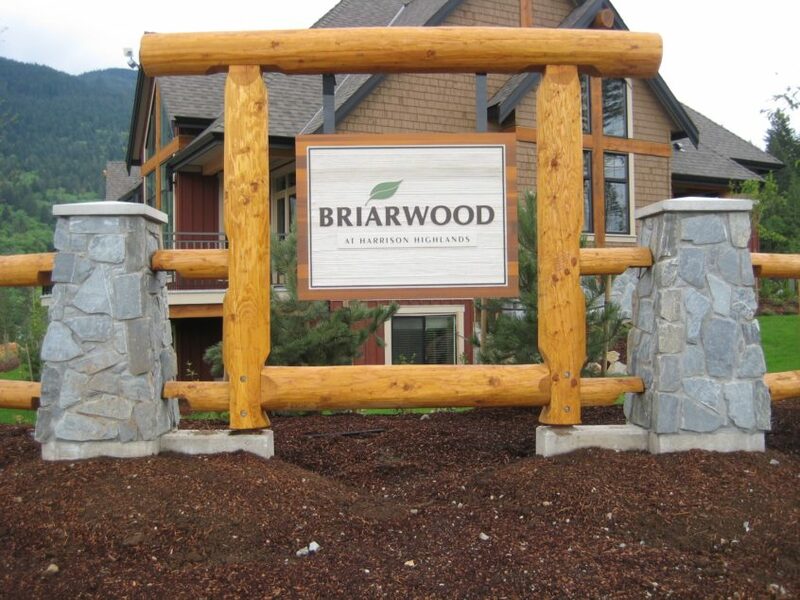 It's a great way to play up existing architectural details, especially on timber frame buildings. Used as exterior trim around a front door or garage or it can lend coherence and punctuation to the overall look of a home. 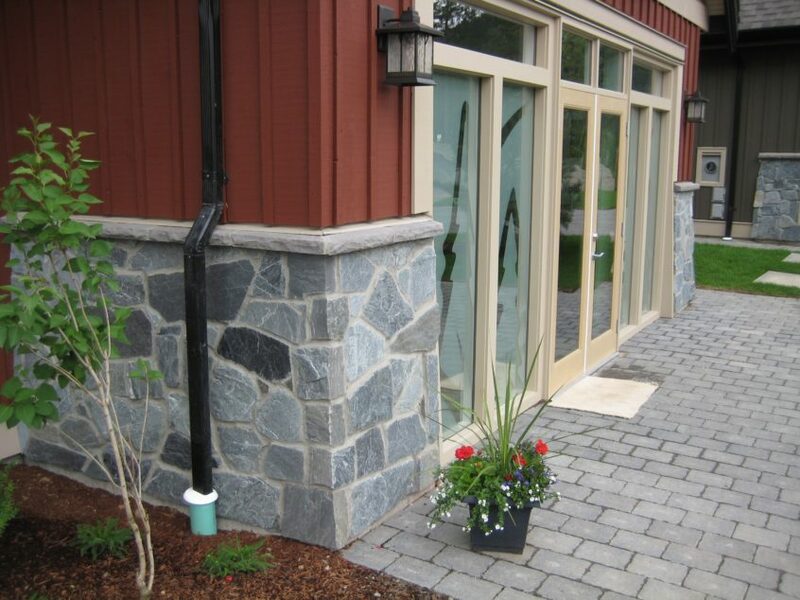 Tofino Sky Field Stone Veneer can also add interest and beauty to outdoor patios, kitchens and fireplaces. And it works well as cladding for an exterior chimney. These types of improvement projects are increasingly popular for adding architectural details to any style home. 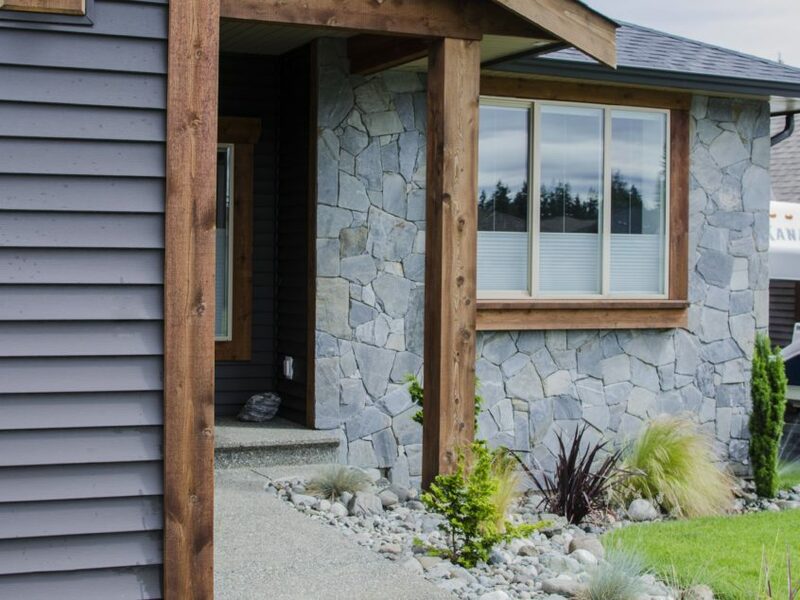 Indoors, Tofino Sky Field Stone Veneer can be used to create a rugged yet sophisticated looking feature wall in a foyer or entrance way. Applying it floor to ceiling can make the area feel expansive. 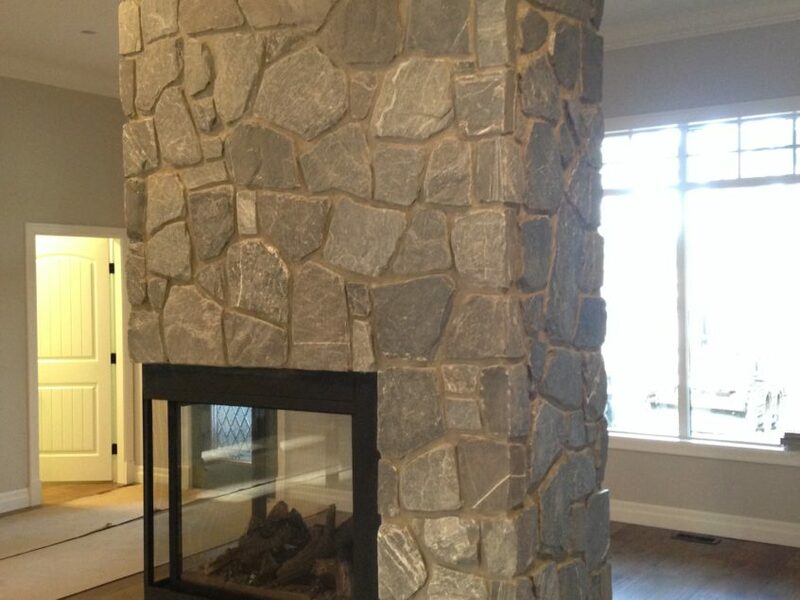 Using stone veneer on a fireplace surround can make it a focal point of the room. Same goes for cladding on a bar area in a den or family room. 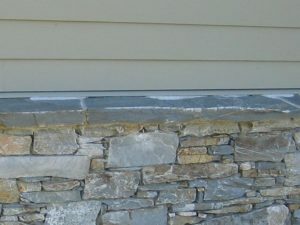 Natural stone veneer is a favored material for designers and builders for good reason. Versatile, easy to install and attention-grabbing, it can elevate a minor home refresh or brand new build into something that adds real and lasting value.